• Enhance possibilities for environmentally friendly mobility. Political leadership with a long term approach - project emerged from political decisions taken some time ago, in relation to the transformation of an old shipyard area in Gothenburg. Political will was necessary to transform the area. Collaboration and dialogue with all stakeholders - Major stakeholders in the Kvillebäcken project include the City Planning Authority of Gothenburg, Älvstranden Utveckling AB that runs the project, other project partners (investors), other planning authorities within the city, green tech companies through the network Eco-Ex, the energy company Gothenburg Energy and Business Region Gothenburg are all involved. Contribution to multiple policy objectives - a dominant political objective is the provision of housing in the central part of the city. The area is strategic for housing because it is close to the city centre and well provided with public transportation. Business models to attract investment - The project has been modelled around a public-private partnership approach, funded by public and private property developers (building companies) and also by tenants and apartment buyers. For the six demonstration projects the project received 30% of the extra costs in funding from the national Delegation for Sustainable Cities. 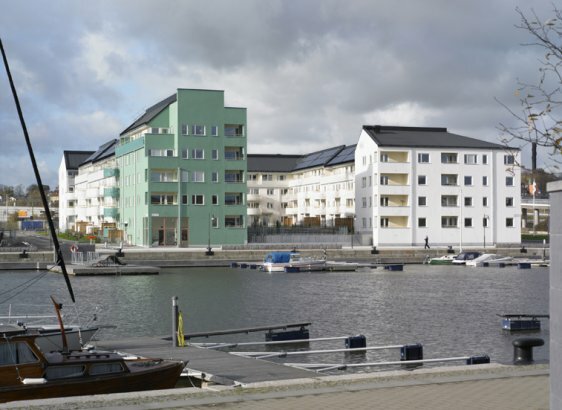 To read a full report on Sustainable Urban Districts - Hamnuset to Kvillebäcken and why it is a good example of a Lighthouse initiative click here.